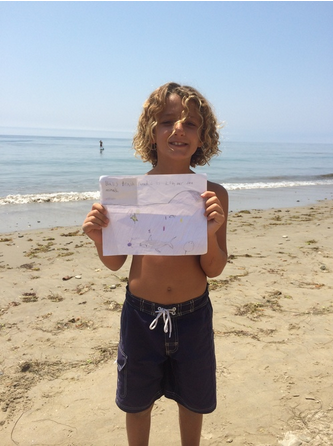 Kids of Santa Barbara are getting involved through creative projects, presentations, beach clean-ups, and by doing their part to be Plastic Free for the Sea! Here's a video from our 2015 Jr. Lifeguard program. We were blown away by the first round of Junior Guards Mermaid Project Presentations. One girl went to FOUR local beaches to test the PH levels of the ocean and explained how the PH could negatively affect the ocean life if it were to get more basic or more acidic. 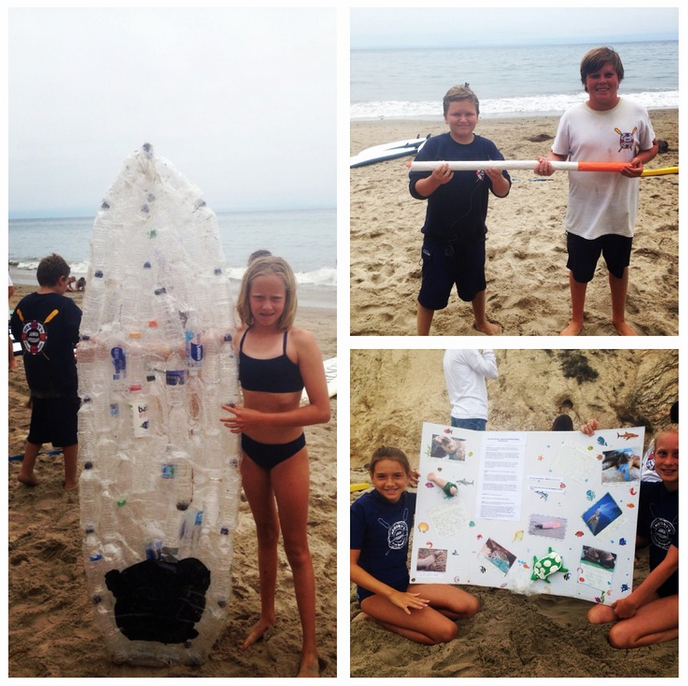 Another Junior Guard make a PLASTIC BOTTLE SURFBOARD from bottles she found on the beach, local trash cans and more. She taught us about plastic pollution, rode a wave with her new board, and explained how it is not only important to take care of your OWN trash but lead by example and help our planet by picking up OTHERS' trash! Other Jr. Guards made beautiful poster boards, funny movies, sculptures, plastic rafts, creative written stories and poems, and more! We were just BLOWN away! Here at Save the Mermaids, we feel blessed that these little ocean lovers are our future generation! We had an amazing second session this year for the final Challenge Projects. 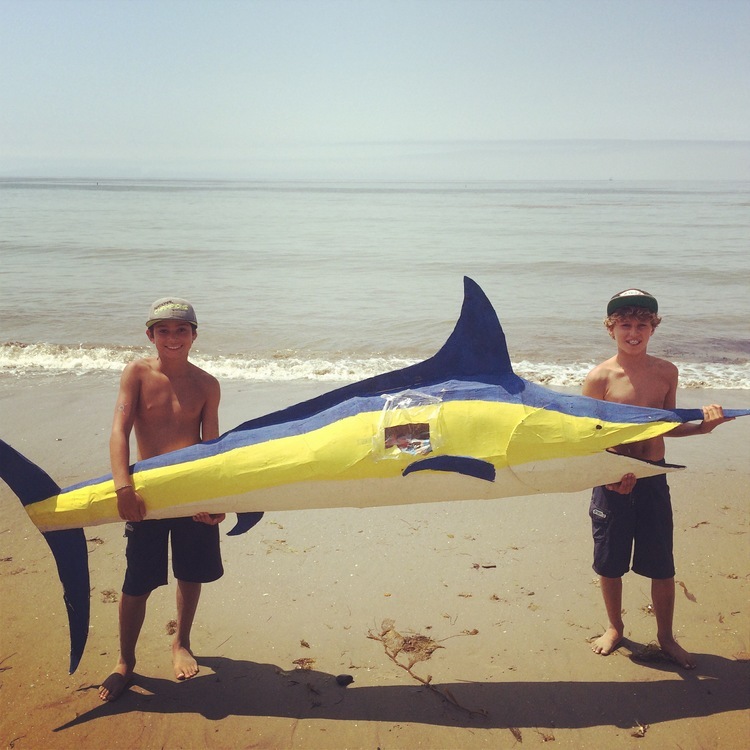 Jack and Nick have been to four Mermaid sessions and they told us, "We are going to WIN the trip to the islands!" Their enthusiasm, effort and creativity paid off! These incredible kids are the inspiration of our non-profit. WE LOVE YOU!